New York City is the first major U.S. city to limit private companies from providing ride-share services to customers as cities and states across the country debate how to regulate the growing industry. The New York City Council last month voted to limit the number of ride share vehicles provided by companies such as Uber and Lyft. The two companies provide the greatest number of such transportation services, but at least 10 other companies are emerging in the high-tech areas of San Francisco Bay, Austin, Texas, and elsewhere. Ride-share services, which have grown in popularity in metropolitan areas, allow commuters to choose peer-to-peer car services like carpooling and car sharing as an alternative to using public transportation or taxis. The New York law imposes a year-long freeze on new licenses in the largest market that Uber and Lyft service. Since 2015, the number of registered ride-sharing vehicles has increased from 12,600 to 80,000, according to city data. The City Council's move "will bring New Yorkers back to an era of struggling to get a ride, particularly for communities of color and in the outer boroughs," Lyft said in a statement. Following New York City's lead, a similar proposal surfaced in the Chicago City Council, where aldermen in favor of limits cite increased traffic. According to city data, in the last three years the number of ride-share vehicles providing four or more trips per month quadrupled from about 15,000 to nearly 66,000. While ride-sharing offers commuters convenience and a revenue source for drivers, two city aldermen argue that the benefits don't outweigh the cost of what they called "ridiculous" traffic congestion. Alderman Anthony Beale, 9th District, and Alderman Edward Burke, 14th, are considering a proposal that would cap ride-share vehicles and increase pay for drivers. Chicago Mayor Rahm Emanuel's brother is an Uber investor, and argues that competition is better for the city. Emanuel pushed through a ride-share tax increase, which his office said has helped fund the Chicago Transit Authority's efforts to upgrade its security cameras and rails. "For decades the taxi industry had a monopoly in this city, but good luck getting a taxi to pick you up or drop you off on the South or West sides," mayoral spokesman Matt McGrath told the Chicago Tribune. "That's another kind of cap, an industry-imposed cap that existed forever." Christopher Lentino, director of outreach at Illinois Policy Institute, agrees. "It's a shame that Chicago is considering capping ride-sharing after years of trying countless other means to squash competition," Lentino told Watchdog.org. "Rather than creating a competitive atmosphere among the cab industry and ride-sharing industry, Chicago has decided to travel the path of greatest oppression by blaming an industry for the ills of the city. As we've seen with the cab industry, capping licensure only serves to artificially inflate prices, which, in turn, makes it harder for working individuals to make a living." Lentino said a better resolution would be to ease regulations for everyone in the industry. "Instead of immediately jumping to more oppressive regulation, Chicago should take a step back and examine the current system and ease regulations on all," he said. "A competitive marketplace is a boon for taxpayers." As local governments continue to grapple with regulating a growing industry, city councils in Seattle, Oklahoma City, Duluth City, and Roseburg, Oregon, introduced regulations, and in some cases, limited ride-sharing services. A lawsuit over ride sharing in Austin and San Antonio ended up being settled by the Texas Supreme Court. Last year, Florida joined at least 30 other states by adopting a ride-share law. After four years of debate, the governor signed into law ride-sharing guidelines that went into effect July 1, 2017. The legislation grew out of a patchwork of regulations implemented by municipalities to oversee and tax transportation services. 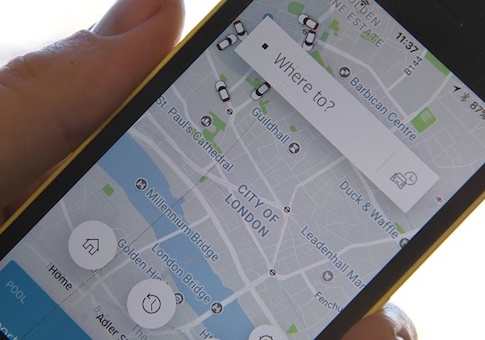 Differing rules created confusion and prohibited companies and users from using mobile apps and traveling from one area to another under conflicting rules. The new law requires all personal ride-sharing services to perform a background check on all drivers, provide operation audits to the state every two years, and provide information on digital networks to local and state governments. It also requires ride-sharing companies to carry $100,000 of insurance for bodily injury or death and $25,000 for property damage while a driver is logged onto their app without a passenger. Driving with a passenger requires $1 million in coverage. More than one year after the law went into effect, local municipalities are raising concerns about the state's ability to enforce it. Critics note that an undefined gray zone exists for the 40,000 Uber drivers in Florida. In some cases, they could not be in compliance with Florida law, but at the same time not act illegally. According to Hillsborough County regulators, Uber drivers aren't in compliance with the rules that govern for-hire vehicles. Uber continues to operate under its current insurance model while the state has yet to weigh in on its validity. To date, the Florida Office of Insurance Regulation (FOIR) and the state department have not fully recognized Uber's insurance policy as legal and in compliance until the Legislature amends the statute. Florida Highway Patrol Capt. Nancy Rasmussen, a spokeswoman for the state department, told the Tampa Bay Times that until the state Legislature determines whether Uber is operating as a taxi service or as a ride-share and is given its own definition under "transportation network companies," the department is unable to answer questions about its coverage. A similar issue arose in New York, when a court ruled that Uber drivers were not employees, but contract workers, which affected insurance and taxation regulations. State Sen. Jeff Brandes, R-St. Petersburg, and other legislators have expressed an interest in addressing the issue by passing new regulations in next year's session. Brandes, who sponsored the bill that became law with Rep. Chris Sprowls, R-Clearwater, received overwhelming bipartisan support. Brandes maintains, "The future of transportation options includes a focus on shared mobility, and as we move closer to autonomous vehicles on our roadways, the future of ride-sharing is very bright."